NEO Engineering is a consulting firm, whose vocation is to facilitate management and development of restaurants. A better return on investment and human workforce, thanks to activity growth, better profit margins and softer operational conditions. Whatever maybe the nature of our service –strategic consulting, in depth diagnosis, coaching of leader, teambuilding, feasibility study, training, trend safari-, NEO Engineering works in close relation with you and your teams who get involved in sequences of the mission. Since creation of NEO Engineering ten years ago, more than 70 clients have benefited from our expertise. And you ? Availability, respect, confidentiality and progress are primary values of NEO Engineering. We are an independant consulting firm subject to professional secrecy. Our terms of sale point out a confidentiality clause for information that is brought to our attention. 100% of NEO Engineering capital is detained by its founder, Laurent Pailhès. Each contract proposal we make is subject to an in depth reception of your demand though preliminary appointments. During the mission, we assess together the course of action in order to take possible corrective measures. At the end of the mission, an appraisal measures your satisfaction. With a long experience in the hotel and restaurant industry, Laurent Pailhès, Manager Founder of NEO Engineering, has worked in this field of activity for many years, being at the service of entrepreneurs and their objectives. A close link by mail and by phone is included during missions. Laurent Pailhès is your only representative throughout the mission. To see for yourself the quality of our consulting services, we invite you now to contact us and schedule an appointment. Laurent PAILHES, coach, consultant and manager of NEO Engineering, has a rich experience in the hotel and restaurant industry. He has worked in this area for thirty years. He has worked in different groups and companies, as hotel and restaurant manager in France, in Africa and in the United States. He has helped to the creation, acquisition and development of more than 50 restaurants and business units. To summarize, the merging of several skills : coaching, team building, finance, management and restaurant expertise. Now within your reach. Graduated from prestigious hotel and culinary schools in France (Nice and Paris), he started his career as a Steward on the majestic cruiseship Mermoz, Compagnie Paquet. He continued his path with Hilton International in Paris, then in New York where he has lived three years. He has worked as Assistant Manager for all the restaurants of the World Trade Center, including Windows On the World. He is a graduate of Florida International University, where he obtained the Bachelor of Science in Hospitality Management, graduation with high honours. He joined afterwards Sodexho in Nigeria et supervises fifteen catering contracts on oil platforms and base camps during two years. Back in France, he manages a three star hotel with restaurant in Paris and simultenaously obtains a Master in Business Finance from the CNAM. In 2000, he actively contributes as Financial Director to the creation and development of the french subsidiary of an international group specialized in powered access equipment (Nationwide in UK). 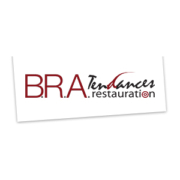 En 2004, he creates his own consulting firm for the restaurant industry. 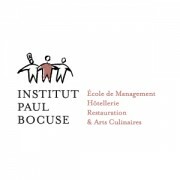 Laurent PAILHES has been Professor of Management at the Paul Bocuse Institute in Ecully, where he has taught ‘Food and Beverage management’ and ‘Management accounting’. He also writes articles in professional magazines, such as NEO Restauration and BRA Restauration.